Edition not stated. Signed, dated, titled and annotated 1st state in pencil. Signed, dated and titled in the plate, lower right. Image size 10 1/16 x 8 1/8 inches (256 x 206 mm); sheet size 12 3/8 x 10 1/8 inches (314 x 257 mm). A fine, rich impression, with overall platetone, on cream wove Japan paper, with full margins (1 to 1 1/4 inch), in excellent condition. Printed by the artist. 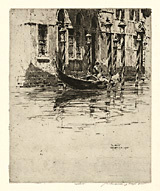 Reproduced: Reflections and Undercurrents, Ernest Roth and Printmaking in Venice, 1900-1940; Eric Denker; Dickinson College, PA; 2012. 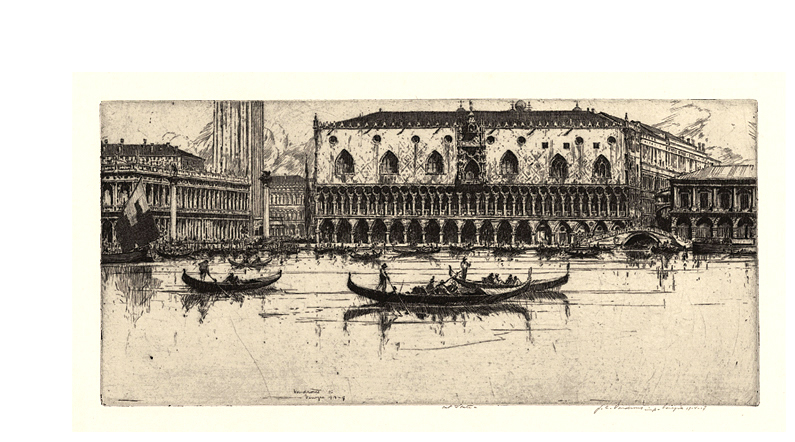 Ducal Palace --- 1914-17, Etching. Image size 10 1/16 x 8 1/8 inches (165 x 359 mm); sheet size 9 1/4 x 16 inches (235 x 406 mm). 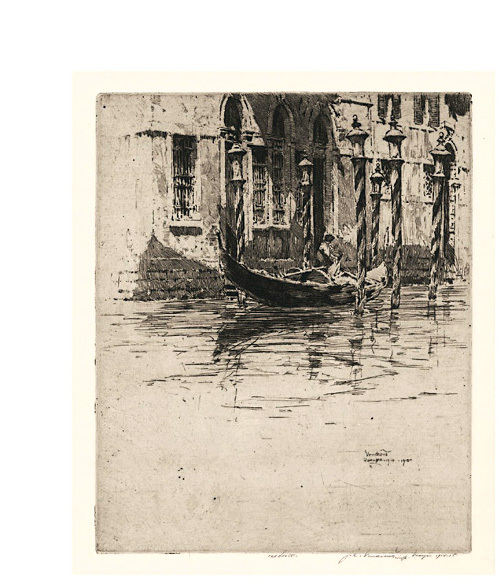 A fine impression, on cream wove paper, with full margins (7/8 to 1 1/2 inches), in excellent condition. Printed by the artist. 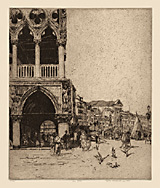 Corner, Doge's Palace, Venice--- 1924, Etching. Edition 125. Signed, dated, titled and annotated 1st state in pencil. Signed, dated, numbered 65/125, and annotated 2nd State in pencil. Titled in the artist's hand, in pencil, in the bottom sheet edge. Signed and dated in the plate, lower left. Image size 11 5/8 x 9 1/2 inches (295 x 241 mm); sheet size 16 5/8 x 13 1/2 inches (422 x 343 mm). 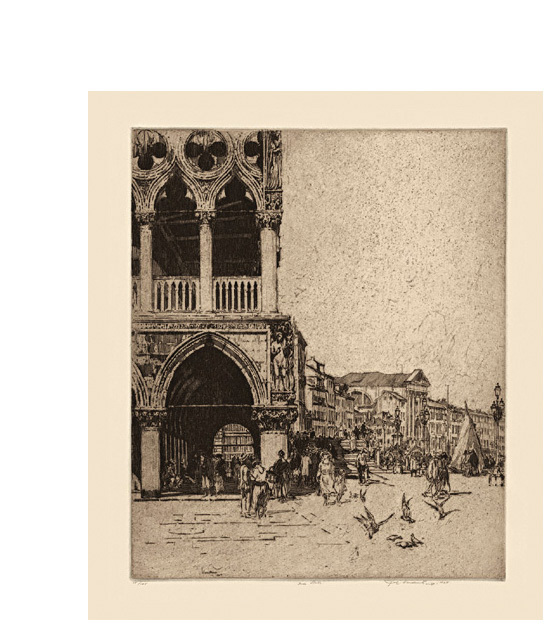 A fine, rich impression in deep brown ink, with overall platetone, on buff wove Japan paper; full margins (1 7/8 to 3 1/4 inches), in excellent condition. Printed by the artist.